Perugia: the largest city in Umbria and its capital. City of contrasts, city of mystery, city of violence, city of art and culture, city of chocolate. 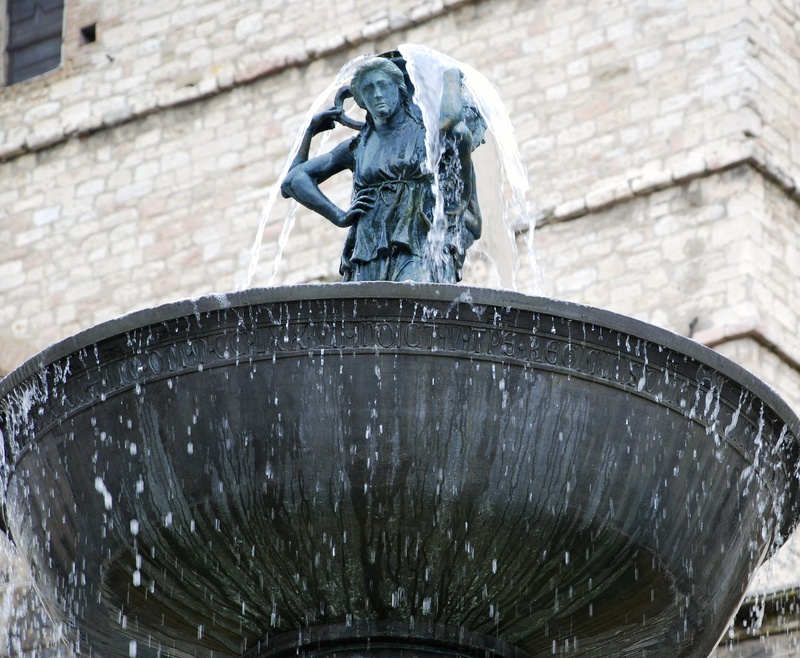 To understand Perugia, past and present, it is important to understand a little of its fascinating history and how it has shaped today’s bustling Perugia. It is a complex, bloody history, so it is difficult to do it justice here, but I will try to pick out some highlights. Originally occupied by the Umbrians, the site was settled by the Etruscans in around the 5th century BC. The old city, built on a hill overlooking the Tiber valley, still retains visible remains of the Etruscan period, such as Porta Marzia which incorporated a fine Etruscan arch into the city walls. Conquered by Rome in 309 BC, the Perugians staged several revolts, culminating in the city being burned down when the funeral pyre of an Etruscan who had refused to capitulate got out of hand. 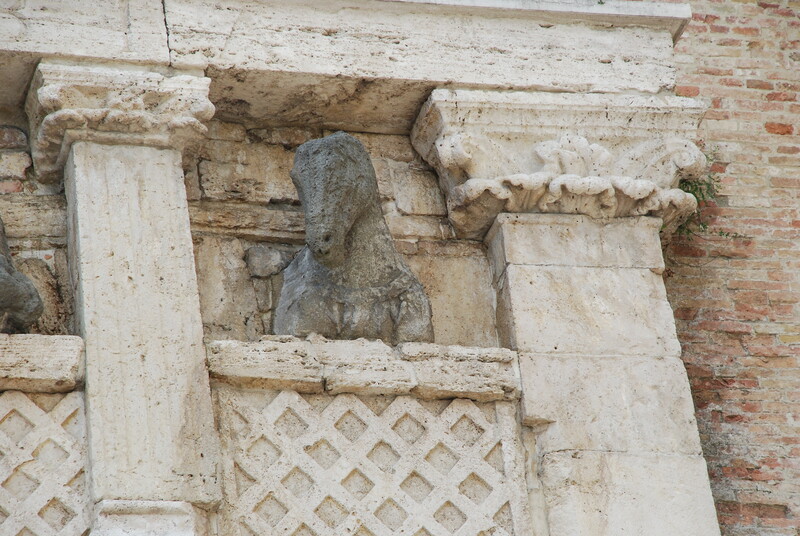 Rebuilt by Augustus, there is little recorded of the city in the Dark Ages and beyond, other than its incursions into its neighbouring towns – Assisi, Spello and Folignio for example – all of which were subjugated. 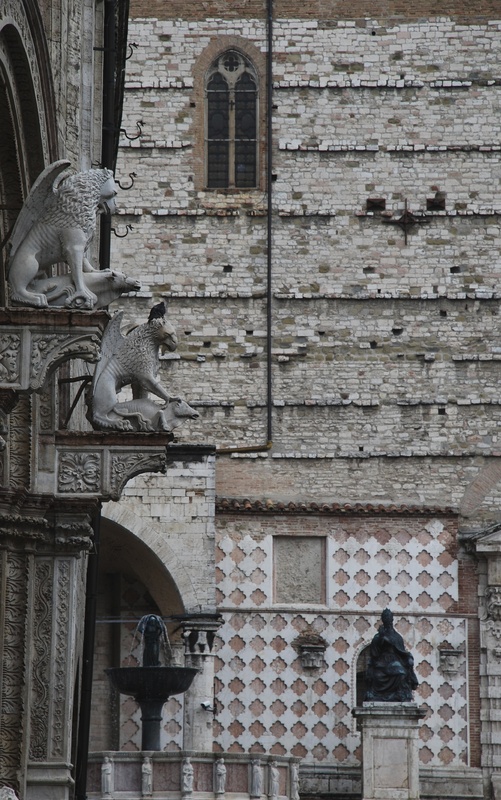 In the 13th to 15th centuries, Perugia was embellished with some of the magnificent buildings that can still be seen today. In theory the city was part of the papal state but the popes found it difficult to control Perugia with its influential nobles and merchants. 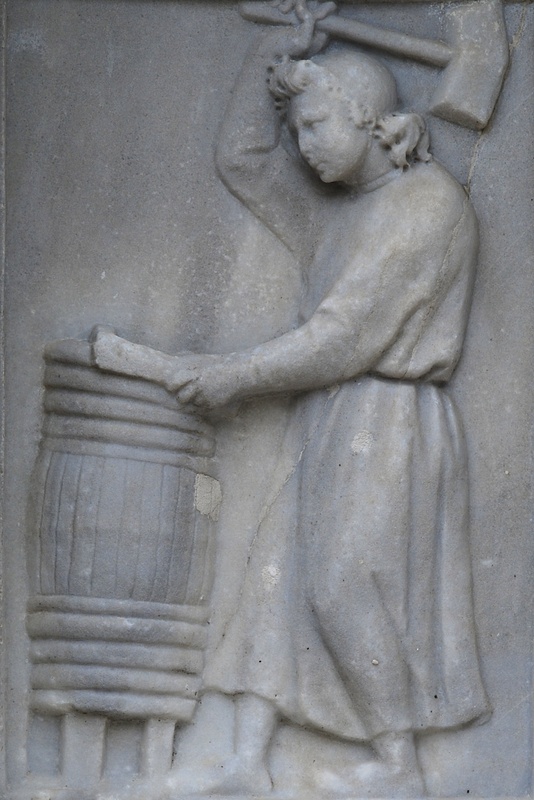 Pope Benedict XI visited the city and was given – by a nun so it is rumoured – poisoned figs. 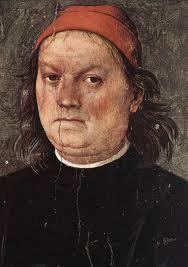 He was just one of 4 popes to die in Perugia: 3 of poison and one of overeating! Tales of skulduggery abound. The nobles, merchants and commoners continued to vie for dominance and the popes, Milan and Naples all joined in at various points. Then along came the wonderfully named Braccio Fortebraccio – “Arm Strongarm” who conquered all of Umbria and had ambitions to unify Italy until he too was disposed of by a Perugian. The feud between 2 noble clans – the Oddi and the Baglioni – grew increasingly violent and bloody. 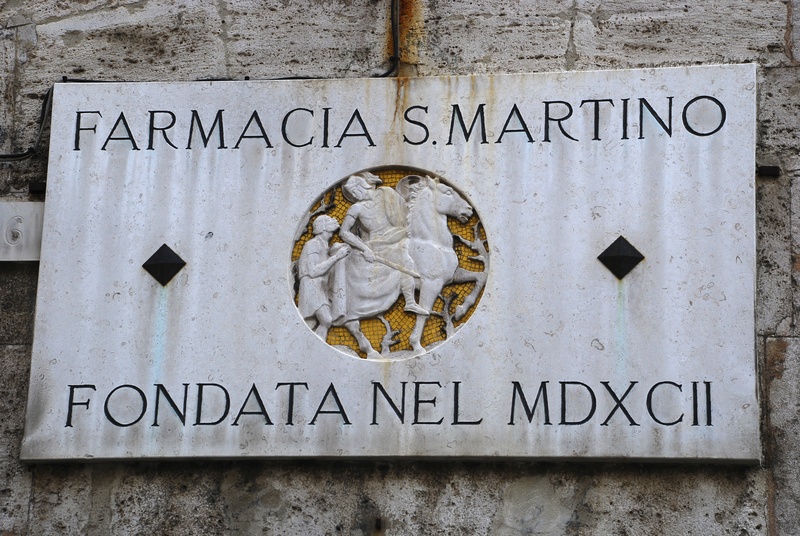 A pitched battle in the main square left 130 dead and revenge killings that the Mafia would have been proud of followed, until the murder of a papal legate gave Pope Paul III a reason to visit Perugia and exercise papal control once again. He raised the tax on salt, so the Perugians revolted again in the Salt Wars, only to be crushed by huge papal forces. Umbrians do not, even today, put salt in their bread as a protest against this provocation. The Baglioni family gathered the Perugians together in the main square and vowed to protect them from the papal forces. It is said that a painting of Jesus was taken out of the cathedral to help the people. It has never been returned inside the cathedral as the Perugians feel they have still not had justice for the wrongs they suffered. 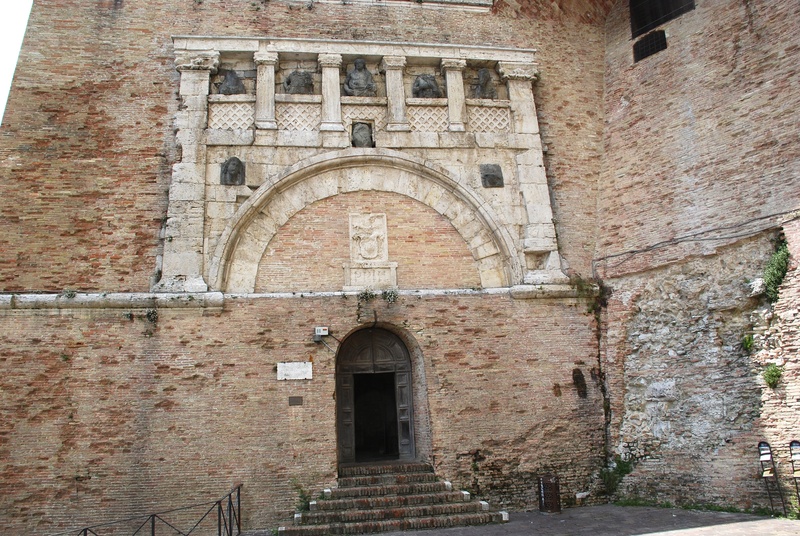 Perugia Cathedral, showing the painting of Jesus over the entrance. A deal was struck between the Pope and the Baglionis in which the Pope agreed not to destroy the city. He soon reneged on this deal however, and in 1543, as a further act of repression agains the Perugians, the Pope ordered the building of a huge fortress, the Rocca Paolina. In order to make way for the fortress, monasteries and churches and more than 100 houses – notably the properties belonging to the Baglioni family – were destroyed. The tall towers of the Baglioni family, symbols of their power, were demolished to form the foundations of the Rocca. 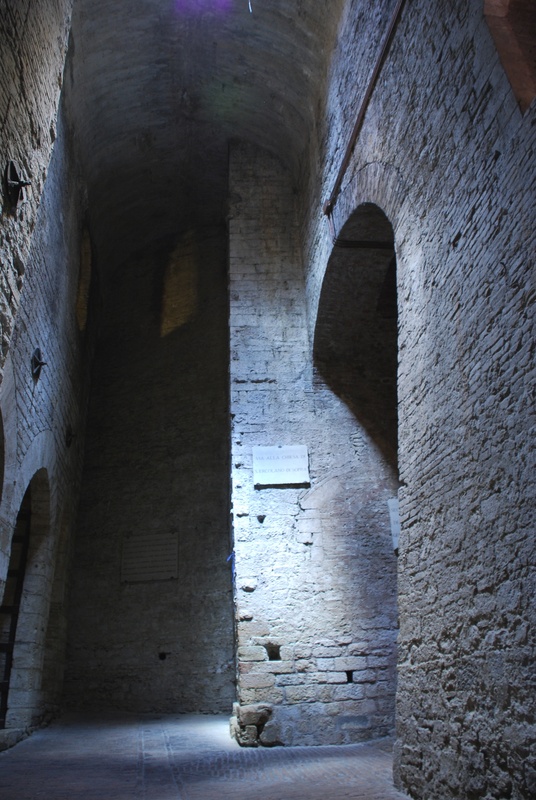 When Perugia gained independence in the 1800s, its citizens demolished the fortress brick by brick. 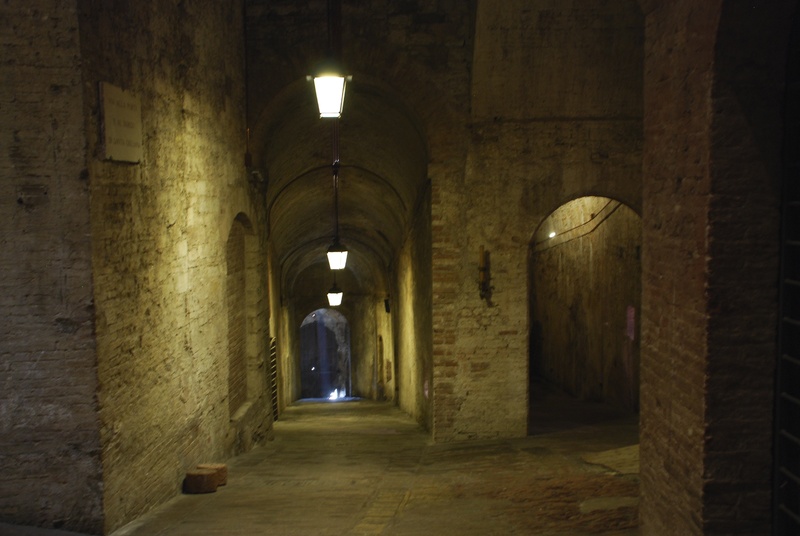 Today little of it remains, other than the Porta Marzia and the rather spooky remains of Via Baglioni, perfectly preserved medieval streets beneath Perugia. Walking through the underground streets feels very strange. 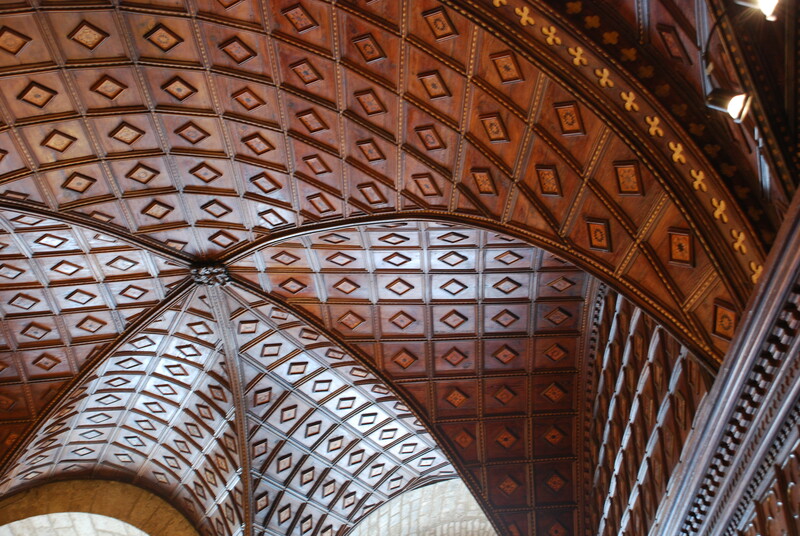 These are the very places where the medieval nobles lived, ate and slept. Was that an echo of a voice from the distant past? The ring of a sword being drawn? In these silent streets, it is not difficult to imagine. Piazza IV Novembre lies at the centre of Perugia. 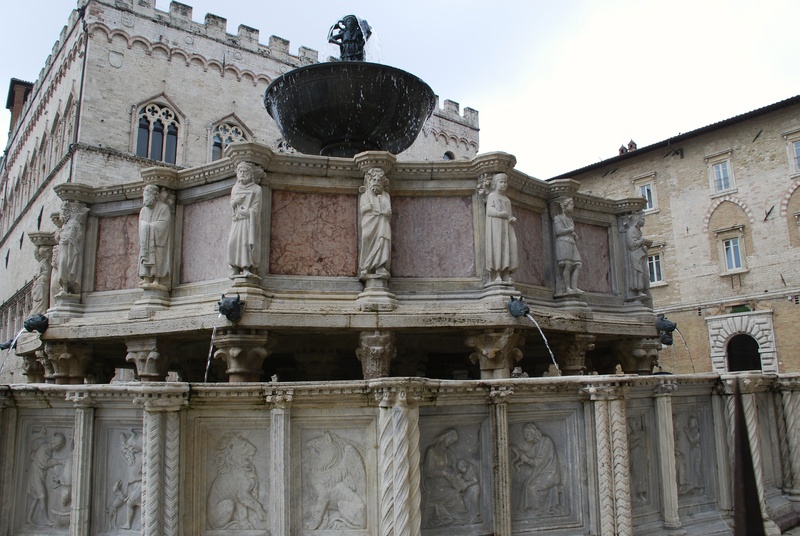 The most well-preserved and attractive square we have seen to date, it has, at its centre, the Fontana Maggiore, a magnificent 13th century fountain which is one of the best Romanesque monuments in Italy. 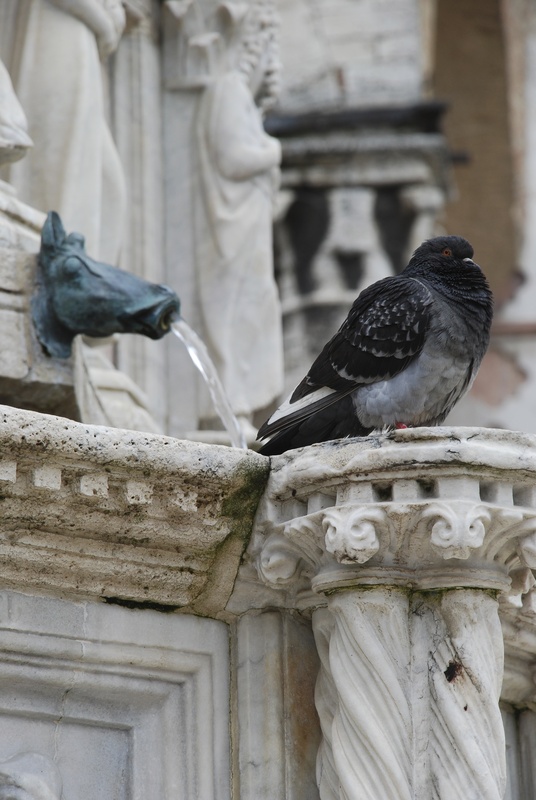 Designed by a monk, Fra Bevignate, and created by father and son Nicola and Giovanni Pisano, the waters of the aqueduct converged here. 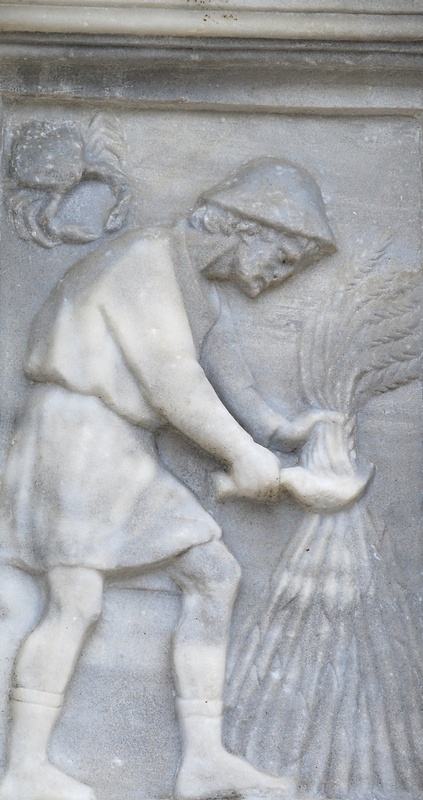 The lower basin is in white marble, decorated with panels showing agricultural scenes and biblical episodes. The second basin is in pink marble and portrays mythical and biblical characters. 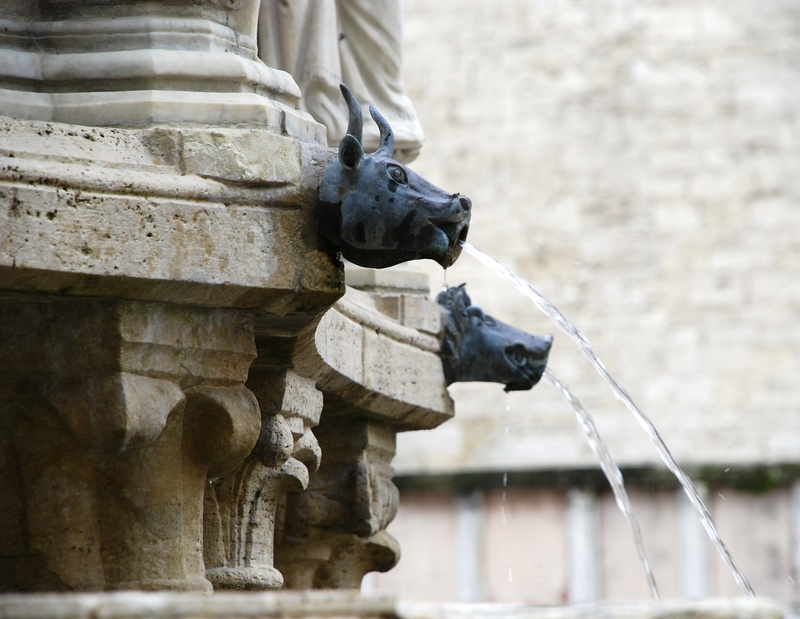 At its base are multiple spouts in the form of animals. At the top is a bronze bowl with nymphs supporting an amphora from which the water pours. The Cathedral of San Lorenzo faces onto the square. Constructed between 1345 and 1490 and remodelled over the centuries, its facade remains unfinished. 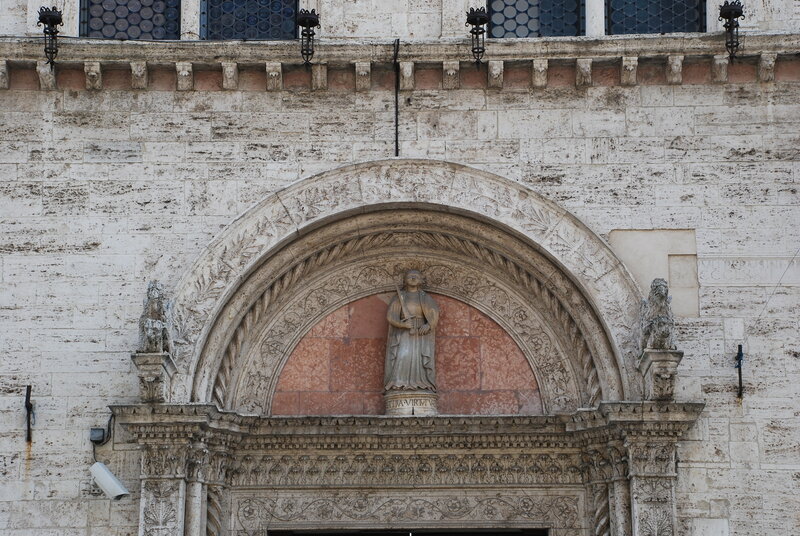 The lower facade is decorated with pink and white marble. 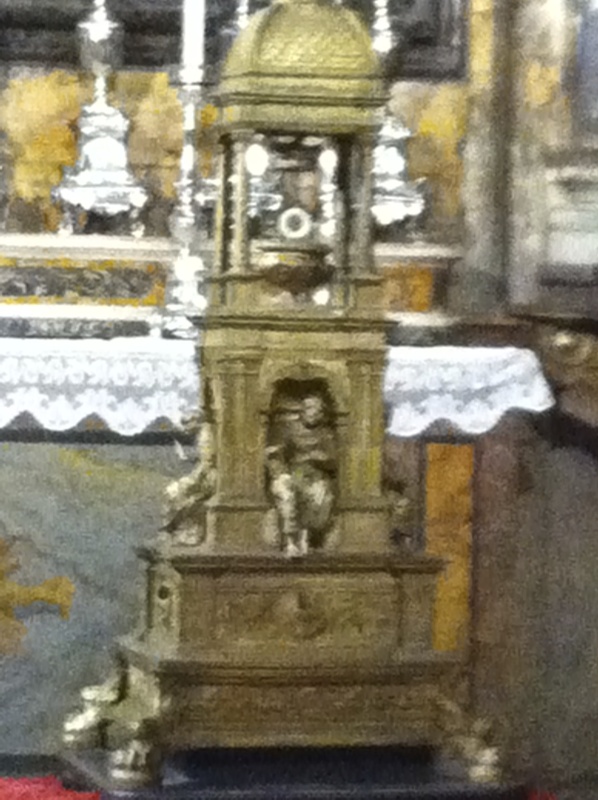 The beautiful exterior pulpit is from the 15th century, and it was from this spot that Saint Bernadino of Sienna preached to large crowds in the 1420s. 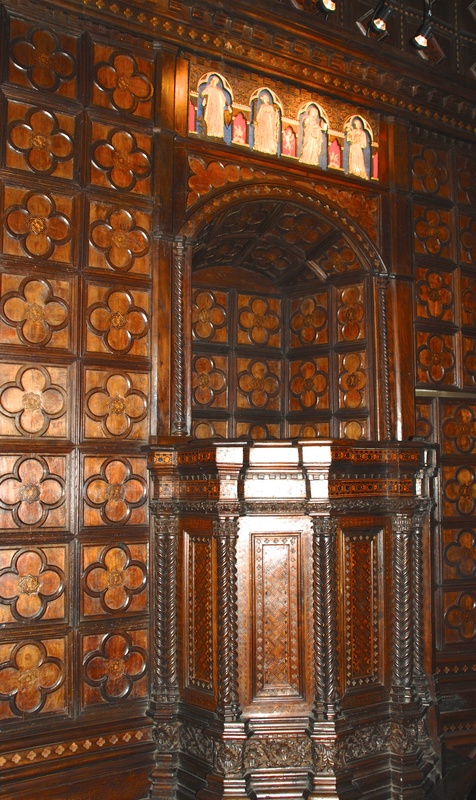 The interior is Gothic in style and is light and cool. 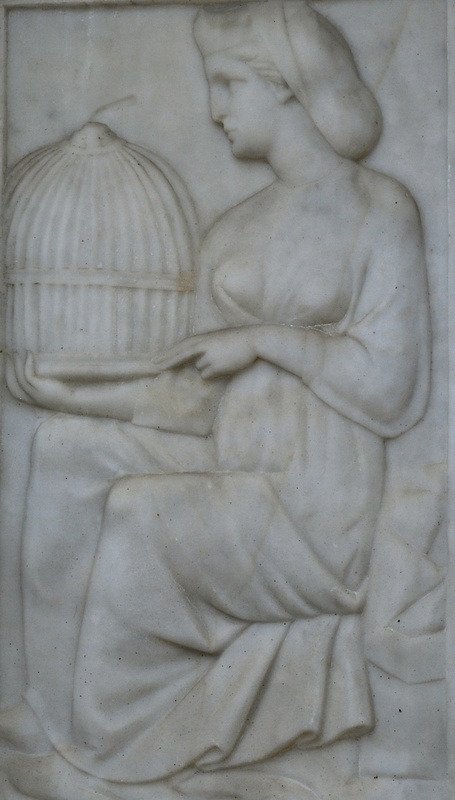 Its most important treasure is in the Cappella del Sant’Anello where, in a gold casket, a ring said to be the Virgin’s betrothal ring, is kept under lock and key. 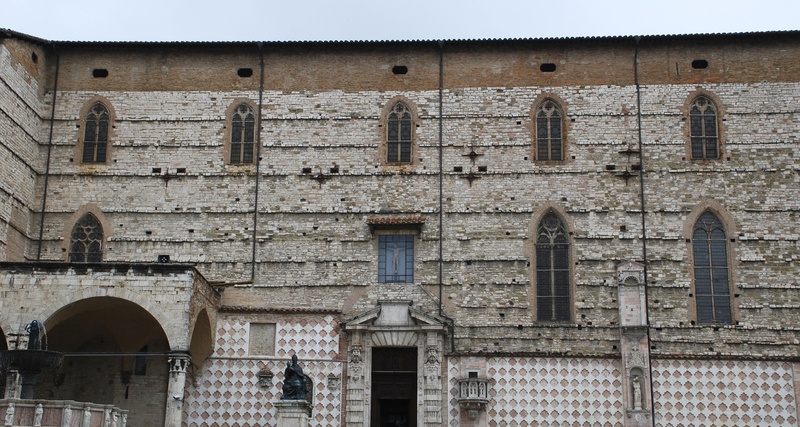 Facing the cathedral is the Palazzo dei Priori, built in stages between the 13th to 15th centuries, and designed to hold Perugia’s administrative offices when it was a flourishing city. 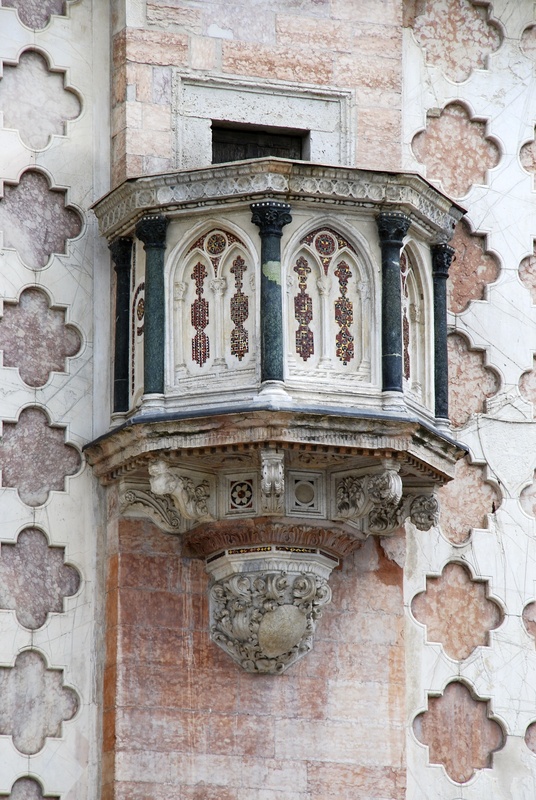 Note the castellations and the shapely windows. The Palazzo’s interior is most impressive. It now houses several attractions of note. 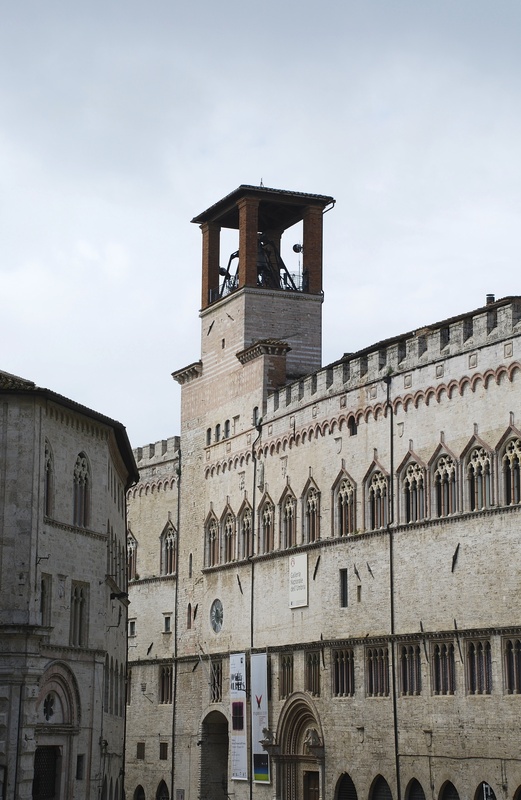 The National Gallery of Umbria features works of art from the 13th to 19th centuries, organised chronologically and well laid out and labelled. The art is almost exclusively religious art; by the end you have seen enough Madonna and Child paintings. But there are some remarkable works by significant artists such as Perugino, Pinturicchio, Fra Angelico. 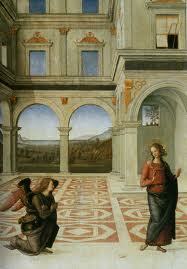 My favourite was a small Annunciation by Perugino. Also within the Palazzo is Il Collegio della Mercanzia, home of the Merchants’ Guild from 1390 and almost unaltered since that date. 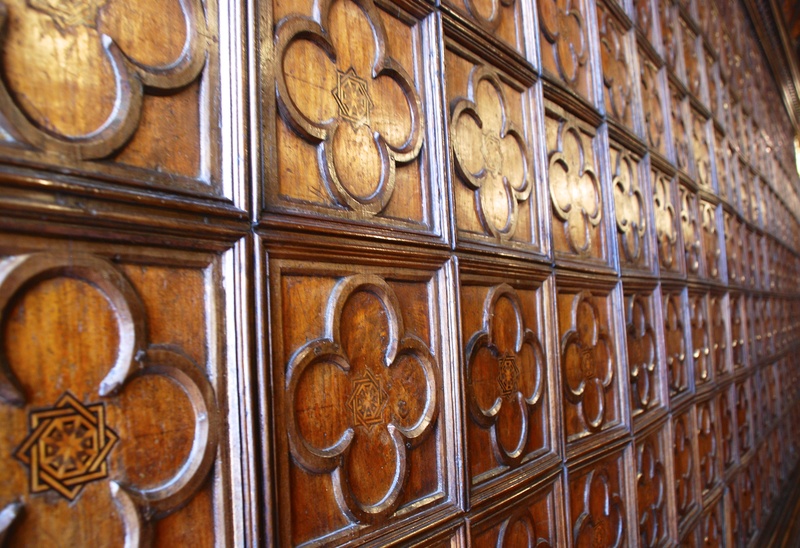 The quality of the woodwork was so crisp and clear that it could have been carved yesterday. Finally, we visited the Collegio del Cambio where the money-changers operated. It was used as a counting house and the tiny scales and coins are on view. There is a series of frescoes by Perugino covering its walls which is considered to be one of the most significant examples of Italian Renaissance art. 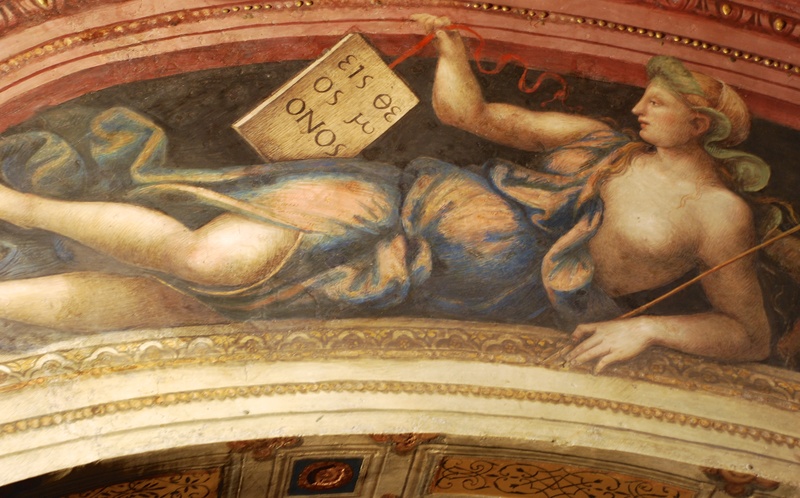 Perugino also included a self-portrait, left. 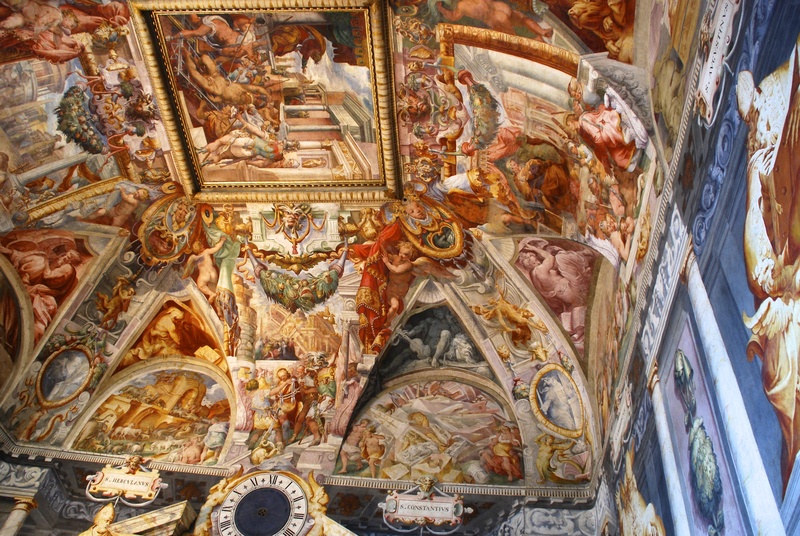 The attached chapel of Saint John the Baptist contains additional frescoes. 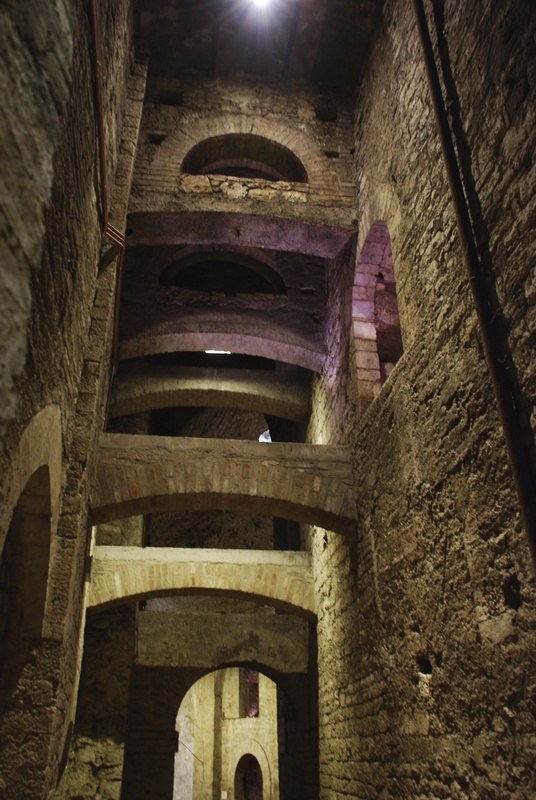 There are so many interesting things to see just walking around Perugia. The backstreets seem virtually unchanged from medieval times, drainpipes excepted. There are magnificent buildings and signs of the past everywhere. 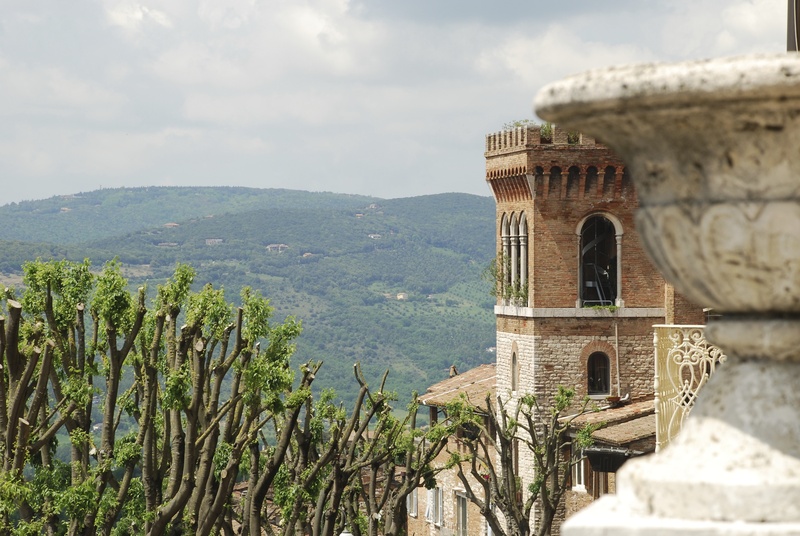 Perugia’s hilltop position allows some far-reaching views over the Tiber valley. These shots were taken from Piazza Italia. The University of Perugia was founded in 1308 and still attracts large numbers of students, as does its reputed Language School. Perugia is a cultural city; it hosts a chocolate festival and Europe’s top jazz festival annually and has several theatres. Despite its history of conflict and conquest, modern Perugia is vibrant and colourful, forward-looking and proud of its past. This entry was posted in Photography, Umbrian Art, Umbrian Hill Towns and tagged Baglioni, Fontana Maggiore, Perugia, Umbria on May 27, 2013 by maryshoobridge. Thank you. It is a great city and I feel we have only just touched its edges. Via Baglioni was just great! Aha! You have cottoned on to the fact that each blog has a song title! But why was Roger Waters wholly wrong? I am – as ever – confused!! “Ticket to Ride” and “Going Underground” were enough. I am really enjoying this series. Thanks. We have only visited Perugia briefly, clearly it needs another trip. Yes, I don’t think you can appreciate Perugia in a day. We have now been twice but I still feel there is a lot of untapped things to see and do there. 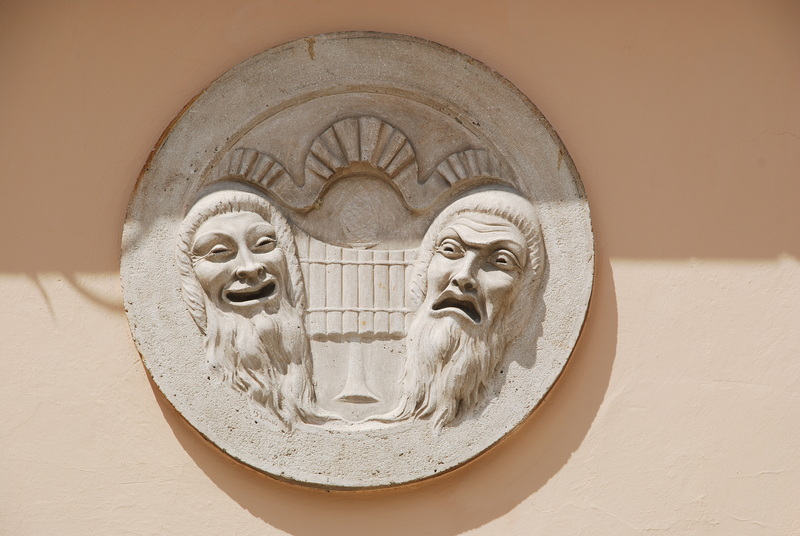 Thanks for quoting my Perugia post. What a great place it is. 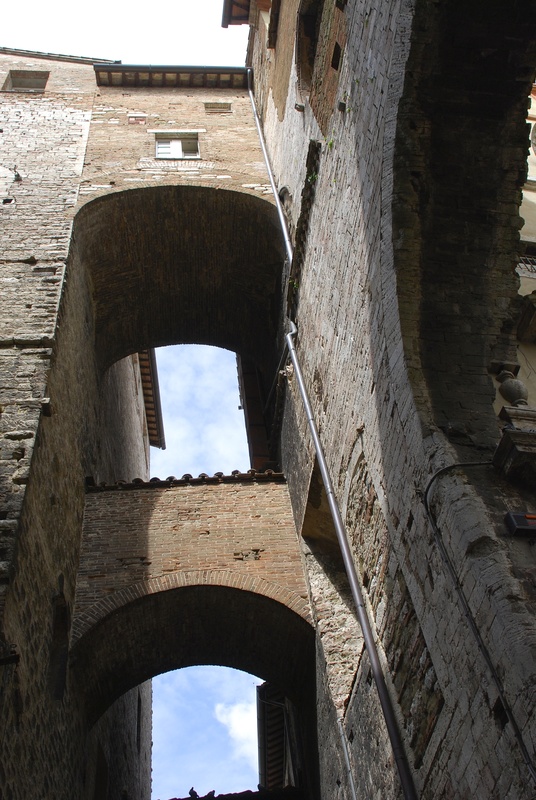 Thanks for quoting my post on Perugia. I am returning to Italy in June and can’t wait to go back to Perugia. In waiting for a new post from you I go back in time. 🙂 And what an interesting post. 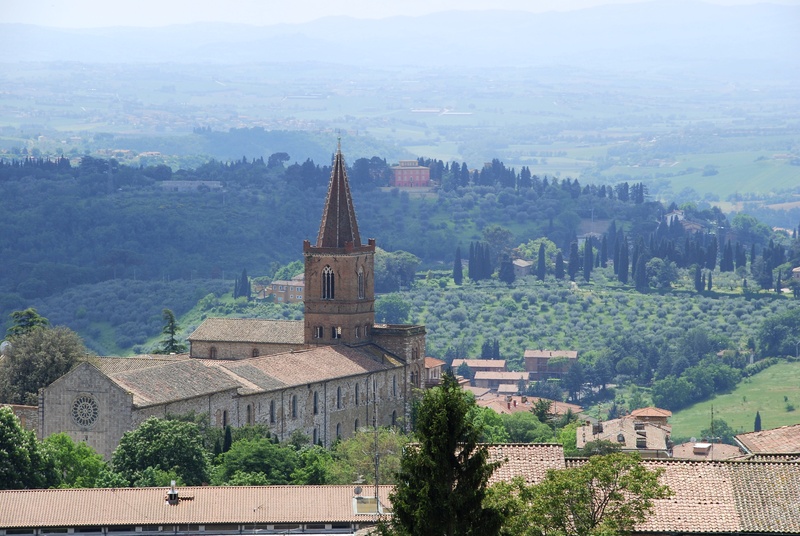 As I have yet to go to Perugia, I thoroughly enjoyed this travel piece. Very nice, text as well as photos.